Cleaning out a custom garage is something that many people dread, particularly if this part of your home has not experienced cleaning in years. Whether you are cleaning out your garage as part of your annual spring cleaning routine, or are doing so because it is high time that you did, there are ways for you to do this efficiently. Having an efficient way to clean out your garage will help you do this quickly and will also help make the task less daunting the next time you do it. It does not matter if you have a lot of stuff to clean out of your garage or if you have only a small amount of junk in it. This task requires your undivided attention and ample time to get done properly. This is why setting aside an entire weekend to get this done is imperative. Find one weekend that members of your family are available as well. This will give you the kind of help you need when you need it without getting excuses that people are busy. To make the task less of a hassle and to make it go smoothly, you should be strategic about this. Plan out how you will clean out your garage before you start doing this. Survey your garage and determine a route that would be effective for you in getting this part of your home cleared out of junk and debris. Create a list of things to clean out when you survey your custom garage. Make a list of items that can be donated, items that can be sold at a garage sale, and items that you can throw away. Also, make a list of items that you will want to reorganize in your garage so you know how much storage space you will need before cleaning day arrives. When you survey your garage and plan how you will tackle cleaning it, you will get a sense for how much shelving and storage you will need. At this stage, you can begin to envision where these shelves and storage units should go. You will also need to calculate how many storage boxes or bins you will need at this point. 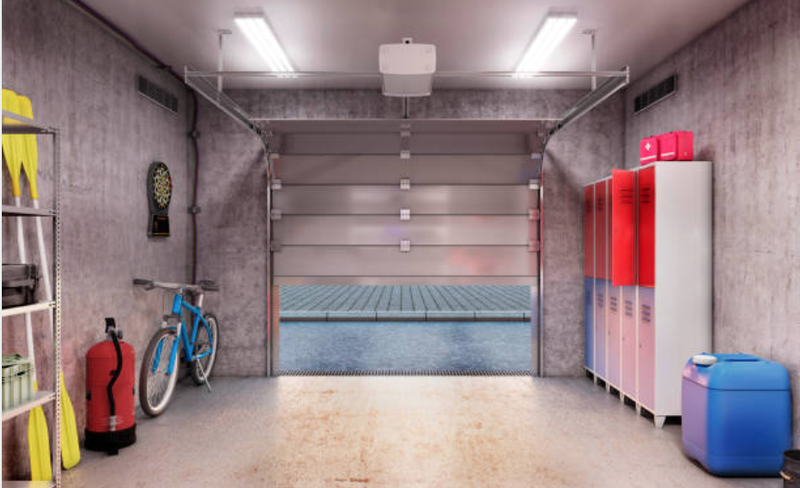 If you already have a storage system in your garage, you can plan how to clean these out as well to make room for some of the stuff you will be adding to what is already in there. You will also need to choose bins that can fit into these shelving systems or find a way to incorporate new boxes and bins to your current storage system. Stuff that you are definitely going to throw away should also be placed in boxes for easy pickup. Not having enough boxes to put junk that you are disposing of in may leave you with a mess after you clean up your custom garage. Always ensure that you have enough containers for everything to facilitate effective cleanup. Make sure that you schedule a pickup with your friendly neighborhood junk hauling company. This way, you can be sure that any junk you will be throwing away won’t be sitting on your driveway for days or even weeks. This will also ensure that you won’t be tempted to stow these away even though these items are already considered junk. To ensure that you don’t miss any area of your garage, you need to clean it out in stages and sections. Move your vehicle before you do any of this to ensure that you have enough space to work in as well. Tackle the task in sections, and once a section is done, check it off your list before starting on the next one. Once everything is complete, you will need to scrub out your garage. Sweep the floors, remove cobwebs and other debris from the walls and ceilings, scrub greasy spots with soapy water, and rinse everything out. Dry out the area thoroughly before returning your vehicle to your garage. If your garage needs a fresh coat of paint, then consider doing this on the second day of your cleanup. Allow the paint to dry before parking your vehicle in your garage. If you are planning on tiling your floors or doing other decorative tasks to your garage, this is also the right time to do this. Whether you have a garage that is built in with your home or you have a custom garage made by Carports US, cleaning this out regularly is a must. You need to keep your garage clean to ensure that it lasts a long time and to prevent damage to the structure as well as for your peace of mind. 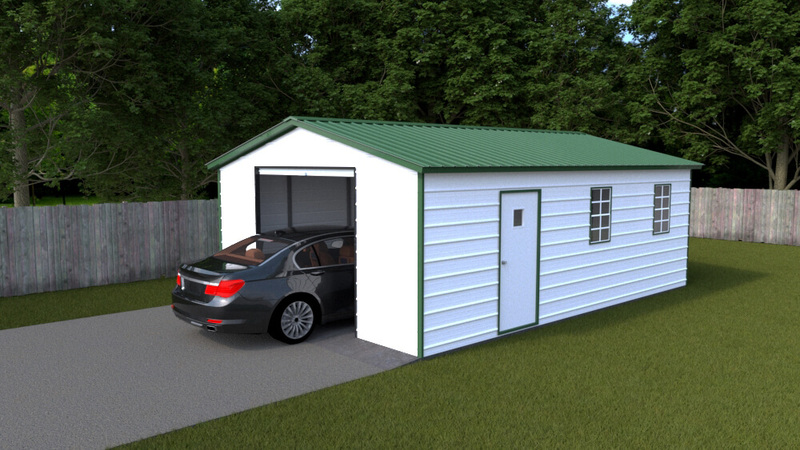 For your custom garage needs, Carports US is the company to trust. You can also trust us for your carport, prefab barns, custom RV carports, and other prefab structural needs. You can contact us at (844) 557-6375 for your inquiries or orders.